Should You Use Baltic Birch Plywood or MDF for a Dollhouse? There is a lot of discussion about what type of material is better for dolls houses or other scale buildings, should you use MDF (medium density fiberboard) or Birch/Aircraft Plywood? 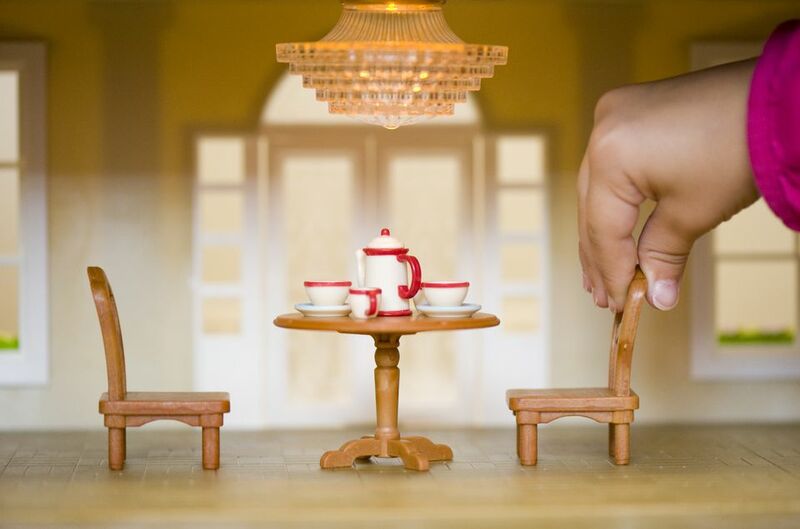 What are the differences for a dollhouse or miniature scale buildings? Each material has strengths and weaknesses that may affect how your scale building survives or even the techniques you use to build and finish it. Baltic Birch Plywood is a plywood with a very fine wood grain available in several different ply numbers and thicknesses. The more plies (layers) there are, the more stable the board is. Baltic Birch plywood has a finer grain than does most other plywood. Its method of construction means there are no holes or voids in between the layers. It can be found in thicknesses from 1/8 inch up. Baltic Birch plywood does have a wood grain, but it is a very fine and flat surface which takes paint well. Baltic Birch Plywood can be used at a thickness of 1/4 inch to construct dolls houses and other miniature buildings. It is often found sold as 'aircraft plywood' in hobby and model stores. Baltic Birch Plywood is considerably lighter than MDF of a similar size. It is stronger for its thickness than MDF. Plywood easily accepts screws, nails, and brads. Using electrical tapewire systems in plywood structures is easier than in those made of MDF. To construct dolls houses which need a finished interior, you need plywood which is good on both sides, or you must cover the worst side with siding or some other finish.